The Razer Game Store rewards customers with zSilver loyalty rewards credits for any purchase. Razer, the leading global lifestyle brand for gamers, today announced a new digital distribution platform for PC games – the Razer Game Store – which goes live globally today. 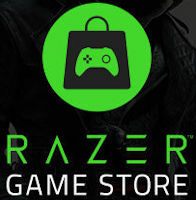 The Razer Game Store (gamestore.razer.com) offers instant access to thousands of digital games and rewards customers with every purchase. Games are delivered in the form of Steam or Uplay product keys. With Razer’s global leadership in gaming peripherals, laptops and software, the Razer Game Store is the next step in its expanding ecosystem for gamers. When gamers buy games from the Razer Game Store, they get access to exclusive offers, Razer Game Store vouchers, discounted Razer peripherals on the RazerStore or other perks. In addition, gamers will also earn zSilver loyalty rewards credits with each purchase on the Razer Game Store, including credit card transactions. Paying instead with zGold grants even larger zSilver rewards. With its unique rewards system , buying a game from the Razer Game Store grants more value than in any other digital store as gamers are then able to redeem their rewards for other Razer products and more each time they checkout. As expected, the Summer Sale is now underway on Steam, or as they’re calling this year’s installment the Summer Picnic Sale. We can probably find more details when an announcement rolls in, but in the meantime, we can see that there are the usual discounts to be had, and this year’s side game involves getting three free trading cards each day. Initial sales are for things like LEGO games for 30-75% off, the Arma franchise for 20-80% off, and the Call of Duty franchise for 50-67% off. Razer, a world leader in connected devices and software for gamers, in partnership with Las Vegas-based Gaming-Grids, today announced the first phase launch of Razer Arena, a new competitive gaming ecosystem for everyone. The service will be powered by the voice chat gaming messenger, Razer Comms. Razer Arena is a web-based platform that brings together competitive gaming tools typically reserved for professional-level gamers. With automatic match creation and reporting, tournament and match lobbies, match notifications, and more, Razer Arena provides a seamless experience without the hassle of uploading screenshots or replays. Razer Arena also allows match teammates and opponents to easily communicate. In the first phase, users will be able to participate in daily challenge cups to get familiar with the tournament platform, as well as participate in tournaments produced by selected partners. In the second phase, slated for March 2015, users will be able to host their own private tournaments. Successful Razer Arena tournaments may be featured alongside professionally organized events. More information is available at the official Razer Arena Website. Platform’s 100 million users can now broadcast their gameplay to the world using new, Twitch-like feature. Steam Broadcasting, a new, Twitch-like feature that players can use to stream their games for anyone to watch, is now available to the platform’s 100 million+ users. Broadcasting was announced in early December 2014 and had previously been available to some Steam users in beta form. The feature is currently available to all Steam users as part of the the latest client update. This patch, which will be automatically downloaded, also introduces an in-game FPS counter and lots more. To use Steam Broadcasting, users can click “Watch Game” on their friend’s profile. Viewers don’t have to also own the game, pay a fee, or install any additional apps. Though Broadcasting was designed to highlight game clips, users can also utilize the feature to broadcast anything on their desktop. Leading video game themed military charity, Operation Supply Drop, today proudly launches its Ambassador Program. The program enlists key influencers, celebrities and well-known entertainment personalities to strengthen awareness for Operation Supply Drop’s mission – supporting men and women in uniform that are currently deployed for combat operations and those veterans that have previously served, many recovering or struggling with serious injuries related to their military service. Founded in 2010 by former Army Airborne Ranger, Captain Stephen “Shanghai Six” Machuga, Operation Supply Drop is a 501©(3) public charity that sends video game themed care packages to servicemen and servicewomen deployed to combat zones or recovering in military hospitals. To date, Operation Supply Drop has raised over $2 million USD in donations, games and related gear from across the gaming community and has helped more than 7,500 active duty military members and veterans worldwide. For more information, please visit www.operationsupplydrop.org. As one of the most exciting years for our studio comes to a close, we’ve deployed a special dev blog in which various members of the Arma 3, Take On Mars, and DayZ development team recap the past (15th anniversary) year, take a brief look at the near future, and thank everyone for their incredible support! For more information about Bohemia Interactive, please visit www.bistudio.com. Razer Cortex: Deals – Pay less for more of your favorite games with Razer’s unique downloadable game price comparison engine. Game Booster – Enhance your PC’s gaming performance with the popular boosting utilities from Razer Game Booster incorporated into Razer Cortex. Save Game Manager – Automatically back up save games to the cloud and never lose a save game again. Screen Capture Gallery – Immortalize your gaming moments with the touch of a hotkey. Razer Cortex: Deals brings a game-changing offering to Razer’s growing software platform – the unique PC game comparison tool allows users to stay up to date on price drops, limited deals and exclusive offers for their favorite games. Razer Cortex: Deals compares prices across the most popular downloadable game stores on a simple-to-use interface that highlights the best price and allows users to create Wish Lists where they receive notifications whenever the games on their lists drop in price or appear in a store’s deals. Razer Cortex: Deals also includes a predictive function that suggests other games that users might enjoy based on their gaming activity. Razer’s 10 million global users will get a competitive edge on the best deals across their favorite stores such as Amazon, Gamersgate, Gamestop, GOG.com, Green Man Gaming, Steam and Origin, with more to come. From the 25th August to the launch of Razer Cortex on the 10th September, Razer is holding a two week long early access event where users can sign up with their Razer ID to join a queue. Participants will be progressively given access to test server performance for the upcoming launch. Anyone with a Razer ID is free to join at www.razerzone.com/cortex/earlyaccess.